Forget about Lord Stanley. The only Cup that matters this month is the World Cup. 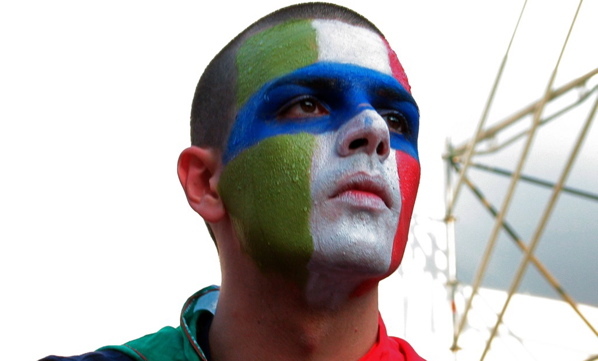 Fans of Italy, Portugal and Brazil have no shortage of great options. (For those options, click through to the site.) But what of the city’s Dutch pubs? Here, a guide to spectator venues for some of the city’s less well represented expat communities. Their Brazilian neighbours have no shortage of bar options, but those craving paella with their Maradona have precious few. The devoted will head to the decades-old Argentinian destination, Sky Ranch. 2473 Dufferin St., 416-787-0491. Dutch Treat, a group of expats, will bring their cowbells to support their boys at School Bakery and Café. 70 Fraser Ave., 416-588-0005. The Japanese Canadian Cultural Centre is hosting a BBQ and sleepover the night before the nation’s 7 a.m. match against the Netherlands. Japanese breakfast to be served. $25, June 18 – 19, 6 Garamond Court, 416-441-2345. Those craving currywurst with their football can head to West 50 Pourhouse & Grille on June 30 for the Australia match. $25, 50 Burnhamthorpe Rd. W., 905-949-9378. English-style pubs are ubiquitous, but few are as authentic as the Queen & Beaver Public House, which is owned by a Limey, and which serves authentic British pubs eats, like rabbit and potato pie. And peas. 35 Elm St., 647-347-2712. The Korean flags are already out in full effect. Though Bloor West is best for BBQ, the liveliest place to catch Korea play will be at the Korean Canadian Cultural Association, which will be open, and likely packed, for all of the Korean games. 1133 Leslie St., 416-383-0777. Check out 11 more great spots to watch the World Cup. Interested in the Dutch? Join our (free) organization via info@dutchtreat.ca (more info at http://www.dutchtreat.ca). There is nowhere in central/downtown T.O. to watch Die Mannschaft make their march to their 4th star. I have decided that comandeering Whisters Grille at 995 Broadview Avenue would be appropriate. How about the good ole…USA for us AntiEngland folks…. AntiEngland: This event might be a bit too late, but the Toronto American Expats are meeting at the Madison Pub at 2 p.m. (in twenty minutes) to watch the game. The Dutch found a new home at Liberty Bistro, in Liberty Village, at the corner of Liberty Street and Atlantic Ave.
School Fraser street 70 in Liberty Village, Holland house 2010 ,2 patios,6 hd screens ,outdoor screens,150 seats! 5 events more people every time so far 2 games more to win to go on the way to the cup!